This lovely corner property feels so much like a single family home, you&apos;d never guess it&apos;s a townhome! With its own address and no shared driveways, it&apos;s perfect for families looking for spacious living. Enter into the bright living area on the lower level, adjacent to the separate dining room and roomy kitchen with loads of storage. Upstairs, you&apos;ll find all 4 of the oversized bedrooms, 2 full bathrooms and laundry area. The en-suite master bedroom has beautiful vaulted ceilings, a walk-in closet and a gorgeous remodeled master bathroom with marble counters. The three additional upstairs bedrooms also feature high ceilings and plenty of closet space. Two peaceful outdoor spaces are ideal for lounging in the sun and grilling with friends in the beautiful weather, while the attached two car garage provides ample storage and easy access to your living room. 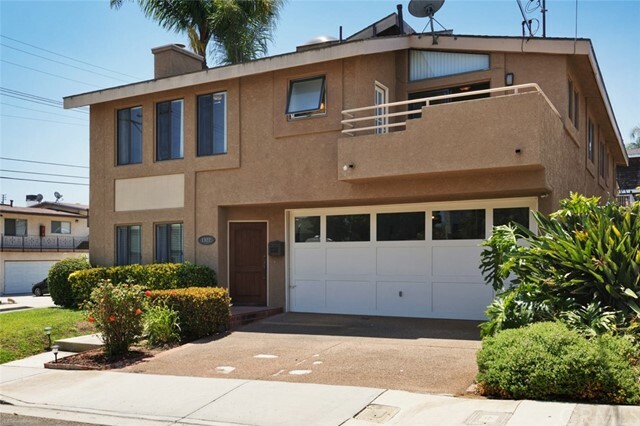 Enjoy the family-friendly neighborhood, within walking distance to parks and one of Redondo Beach&apos;s best elementary schools. Centrally located just minutes from the beach and the freeway, this home is ready for your family--just in time for the new school year!